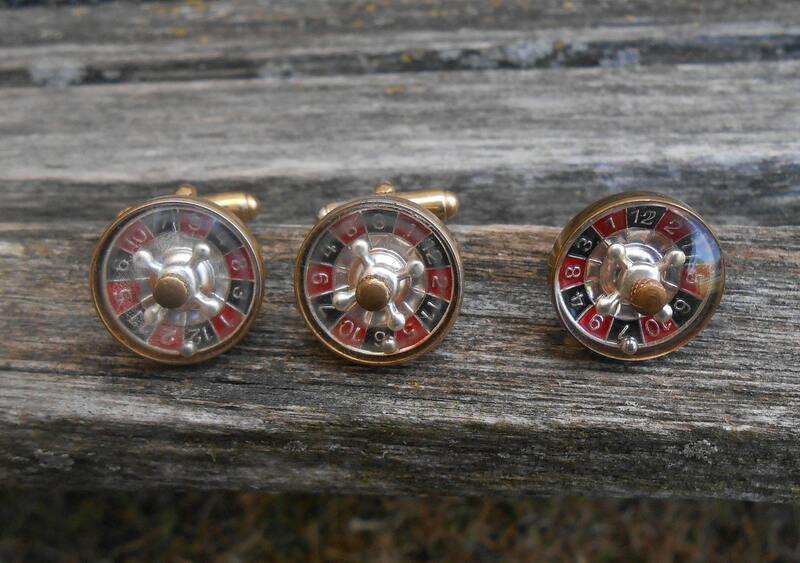 Vintage Roulette Cufflinks & Tie Tack. RARE!, WORKING! 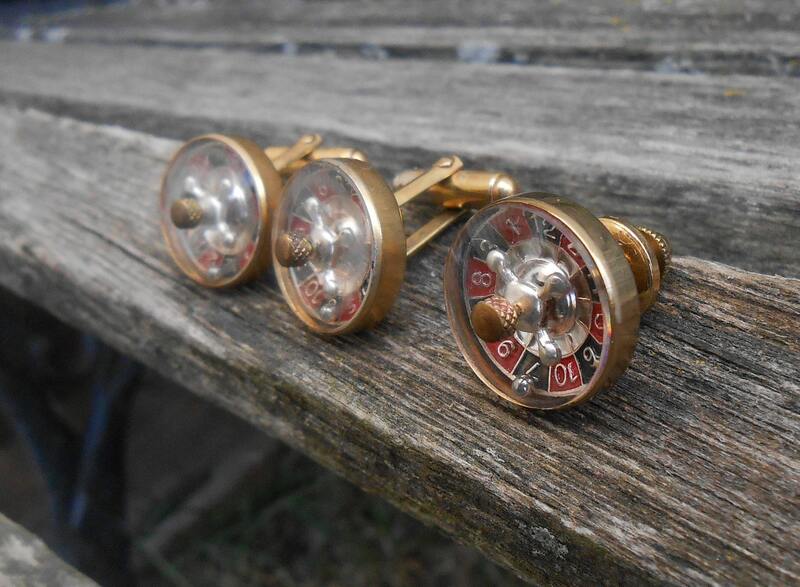 Gold Cufflinks. 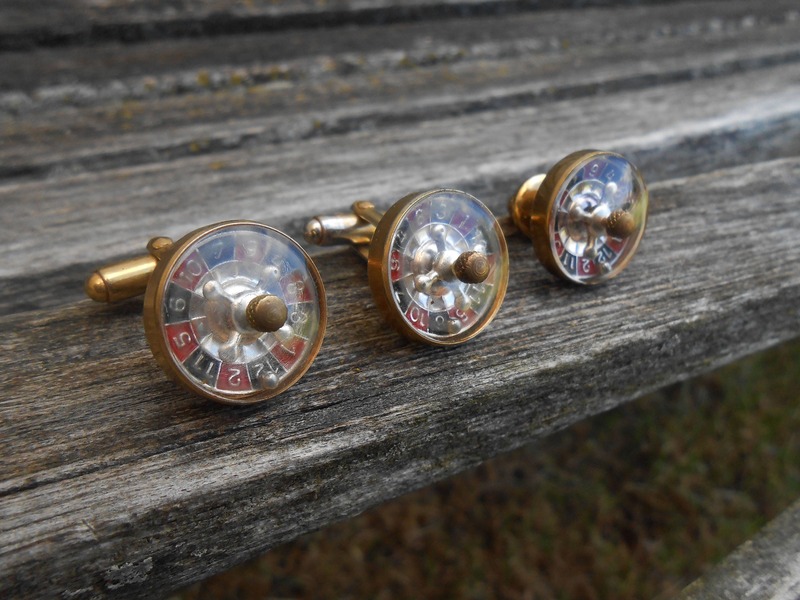 Gift For Dad, Groom, Groomsmen, Anniversary, Birthday. Poker. 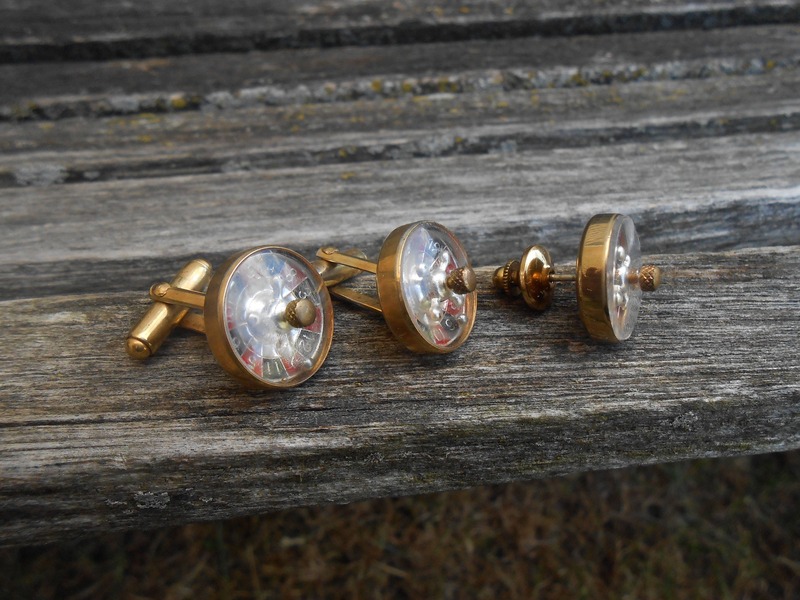 These vintage cufflinks & tie tack would be perfect for anyone. These are super unique! 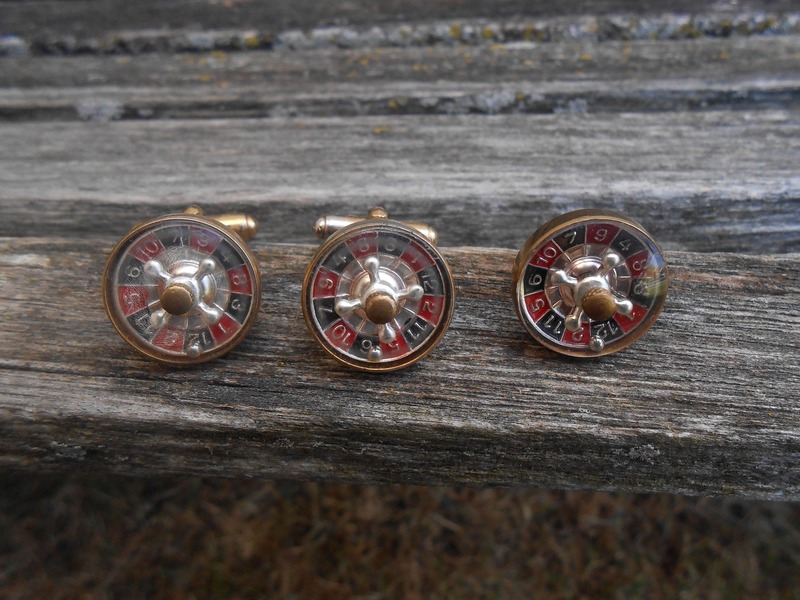 Each one is a working roulette wheel that actually spins. They measure just over 3/4" across. These were made in the 1960's and would be a wonderful little item to give to someone. They are in great condition. These would be a great gift for any time of the year! Perfect for a wedding, for a Valentine gift, for Father's Day, a birthday, an anniversary, or just because!